Since its invention, aluminium has proven to be a great asset to the construction of buildings and other related activities. In fact, aluminum scores over iron and steel in many respects. Here are some of the benefits of using aluminum panels in buildings. Compared to iron and steel, aluminum is very light in weight. However the great thing about it is that it still retains strength. Strength-wise it can equal that of iron and steel panels, but the fact that aluminum is extremely light can tilt the balance in their favour when it comes to construction. The use of aluminum reduces a lot of dead weight. Iron has the greatest disadvantage in this regard, when exposed to moisture it can rust and then corrode. Aluminum on the other hand has a natural protective oxide layer, this makes it corrosion resistant. To go a step further you can paint or subject aluminum to powder coating, meaning you increase its durability even more. Aluminum is an excellent conductor of heat and electricity. In fact because of its low weight, people generally prefer aluminum to copper as far as high power transmission lines go. It's much cheaper to use too which is another huge benefit. In addition to its high ductility, aluminum has a low melting point as well. This makes it the perfect material to have as electric wires. Aluminum can reflect both light and heat. This is why you can see so many buildings with aluminum panels on the exterior. They reflect the light and the heat thereby aiding in power consumption. If the buildings have aluminum interiors as well it prevents the heat and light from escaping to the atmosphere. One of the best qualities of aluminum is that it can be recycled. You can recycle old aluminum and produce new aluminum at a fraction of the cost of producing new aluminum from its bauxite ore. 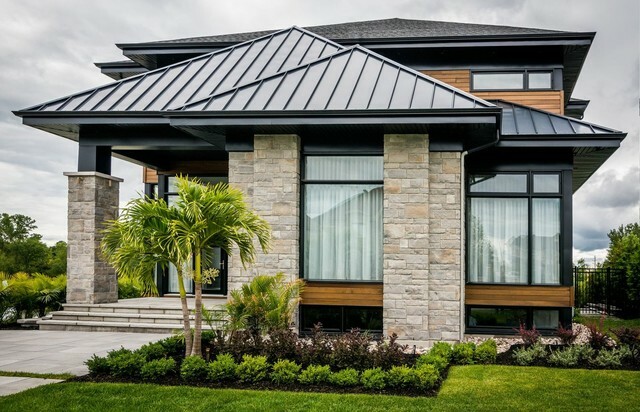 This makes aluminum a favourite with the construction industry. Aluminum panels can be made to look extremely attractive. The material is versatile meaning it can be used in many different way and is suitable for both traditional and modern designs. This is why so many new buildings have aluminum panels on the exteriors as well as the interiors.